Racer Maria Costello joined women from New Zealand (and Australia) at the Hampton Downs track to celebrate women in motorcycling during the Barry Sheene Motorcycle Classic. Fifteen-year-old Amy Vaculik-Hamilton took to the track as the youngest female rider at the event, while 17-year-old Mihi Banks enjoyed her debut on classic machinery, competing on both 250 and 350 Jawas. Brigit Woodcock raced an Aermacchi 250, Philipa Beck was on a Benelli 250 and Triumph 350 and Debbie Bridge rode a Ducati TT2 600 replica. Sarah Elliot was plagued with mechanical problems from her Yamaha Anderson XJ600 while Pro-Twin racer Nicki Smith raced classics for the first time and enjoyed some great battles on both a Moto Morini 500 and Yamaha XJ550. Female sidecar racing was also celebrated, with Tracey Bryan taking the win in the John Anderson Trophy as passenger to her brother on a classic Triumph Trident and also winning the Lawrence Bros Trophy with Aaron Lovell on a modern LCR GSXR1100. Other sidecar passengers included Wendy Ploeg on a Honda CBR1000, Tina McKeown on a BMW 90s and Aida Gulbrasen on a Motobuilt 85 Suzuki 1073cc. 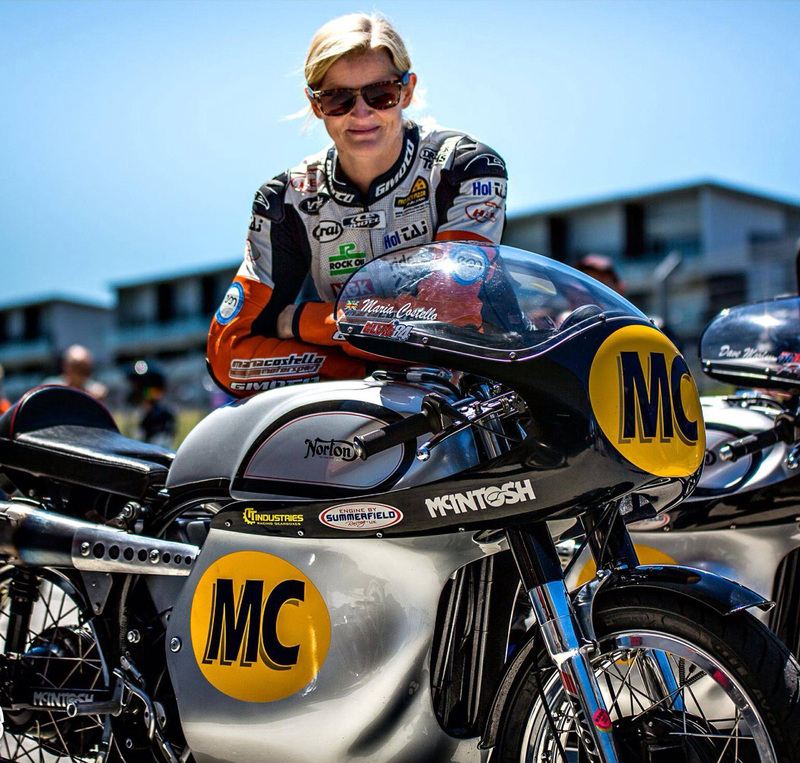 The event also include a parade for former racer Karel Pavich, the first woman to win a road race title in NZ in 2006 and Janet Wilson, the first woman to win a NZ Classic Motorcycle Racing Register title. The event concluded with a trophy presentation and, as an honorary Aussie, Costello presented the trophies and was awarded the Trans-Tasman Trophy as a member of the winning Australian team.